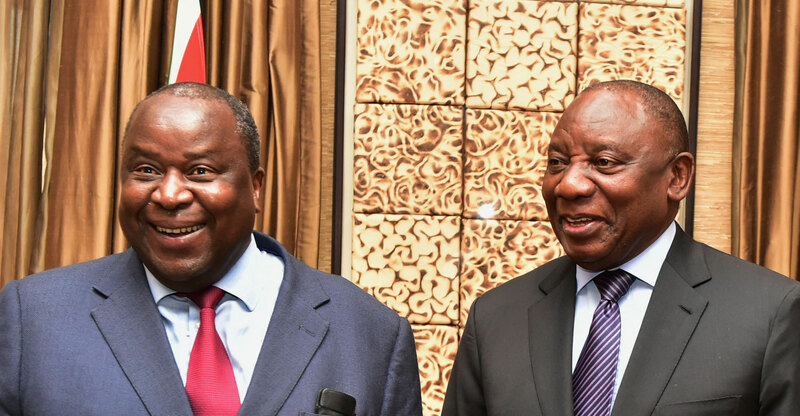 Eskom will be split into generation, distribution and transmission businesses under a state holding company, enabling each unit to manage its costs more effectively and making it easier for them to raise funding, Ramaphosa said on Thursday. He didn’t specify how much money the government will give Eskom, saying details will be provided in the budget later this month. The company is seen by rating companies as a key risk for South Africa, with blackouts and huge debt a drag on growth prospects. It’s struggled to produce enough power with old, unreliable plants even as demand has declined, putting it in what’s known as a “death spiral”. While breaking up the company may make it easier to manage and improve its operational performance, it won’t immediately address its financial woes, with the company sitting with more than R400-billion of debt. The reorganisation is risky for Ramaphosa. The unions who helped the former labour leader rise to the presidency oppose the move because they say it will lead to job losses and privatisation. South Africa is expected to hold elections in May, and the ANC will rely heavily on union backing to maintain the political dominance it’s enjoyed since taking power after the end of apartheid in 1994. Yields on Eskom’s dollar bonds due in August 2028 rose five basis points to 5.97% at 8.16pm in Johannesburg. The rand pared a decline of as much as 1% and was 0.2% weaker against the dollar. Eskom’s current structure isn’t optimal and the break-up makes sense, according to Iraj Abedian, the head of Pan-African Investments and Research Services, who has advised the government on economic policy.